One lane on state Route 29 in Napa closed down Tuesday morning for emergency repairs after California Highway Patrol officers noted some damage as a result of Sunday's 6.0-magnitude earthquake. 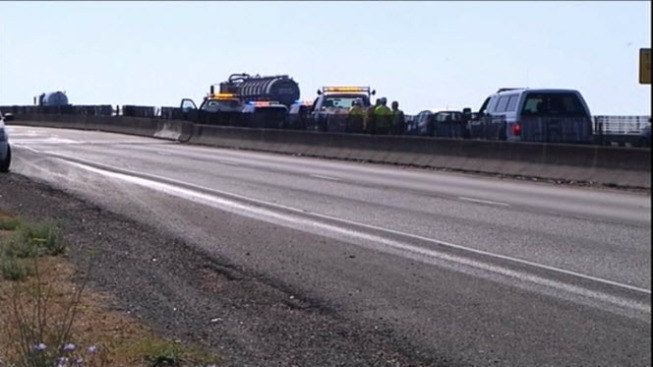 CHP Officer Daniel Hill said the asphalt separated along the approach to the George Butler Bridge, creating a large dip that could cause collisions. Napa spokesman Barry Martin said crews are conducting additional inspection and possible repairs to the approach. Martin said that so far, there is some settlement of the soil in the approach area that needs to be addressed but there is no damage to the bridge itself detected. Drivers were encouraged to use alternate routes, such as state Route 121 to 221. The length of the lane closure is undetermined. The lane wasn't expected to reopen until 6 p.m., CHP officials said.